Book a cheap private taxi or bus from Malaga airport to Granada with our transfer services filling in the form on the top. Distance from Malaga: 134 km. Time to reach: 1 h and 28 min. On leaving the airport you will see numerous public taxis that can take you to Granada and depending on the driver and the vehicle, you can enjoy a more or less satisfactory trip. Alsa Bus Company provides trips to Granada from Malaga bus station at reasonable prices taking one and a half hours to two hours, depending on the departure time of the bus. Usually this is a faster and more convenient means to travel than the bus, but in this case you will lose more time if you decide to go to Granada from Malaga by train, and you have to make a transfer. With this information, we discourage the option of train travel. This type of transport works as follows: The driver will wait inside the airport, help you with the luggage and drive you to Granada. You´ll know the price beforehand and always receive excellent and professional service. You will be traveling in a first class vehicle; learn more about our airport transfers Malaga. How to get to Granada by car? If you need a car, at the airport there are many car rental companies that can provide one; we recommend the company Malagacar.com. Once you have your vehicle, drive along the A-7 motorway towards all directions (Almeria, Granada, Seville); this motorway bifurcates later, take the exit to Granada along the A-45, and travel until the junction to Granada on the A-92M. Touring the Alhambra in Granada is one of the best experiences offered by the city of Granada; it is a mandatory excursion in your visit. 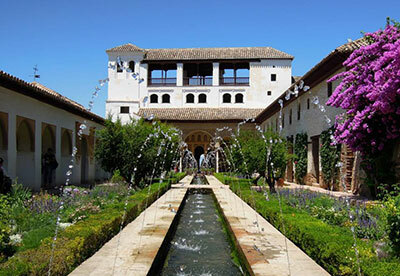 Contemplate and indulge yourself in the atmosphere that exists in this marvel of Arab origin, its various rooms and gardens (we highlight the Generalife). 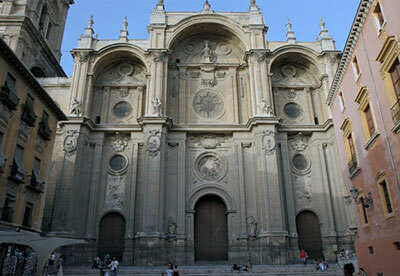 Less than a kilometre away we also find the majestic Cathedral of Granada, another must. The viewpoint of San Nicolas, which overlooks a beautiful panorama of the city, the Alhambra and in the backdrop the mountains of Sierra Nevada. Interesting monuments usually frequented by tourists are: The Monastery of La Cartuja, the Royal Chapel (near the Cathedral), the Abbey of Sacromonte, the Arab Baths, the Bañuelo (near the Alhambra). There are many squares, parks and gardens to stroll along: The Park del Triunfo, the extensive Park Garcia Lorca, the fairground Park, the Park Almunia de Aynadamar, The Botanical Gardens of The University of Granada etc. 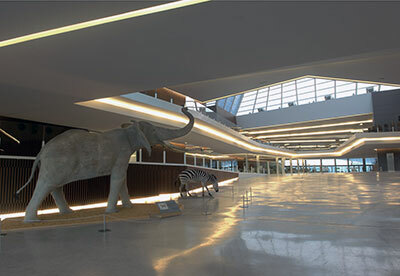 Museums in Granada: You have the opportunity to make a good museums route, among which are: Museum Federico Garcia Lorca, Science Park, Abbey Museum and caves of Sacromonte, Archaeological Museum of Granada, Manuel de Falla House Museum, the Museum of the interior of the Alhambra, the Royal Chapel Museum, among others. As mentioned before, it is highly recommended to get carried away by your stomach and taste the cuisine of Granada with its tapas and typical dishes. The city is also known for its great nightlife whose usual protagonists are University students; you can enjoy great parties in pubs, clubs and bars in Granada. The Albaicin neighbourhood is steeped in history; it stands out as an area populated by Carmen type houses, i.e. houses separated from the streets by high walls that hide lush gardens inside. Leisure, entertainment and shopping are available at the mall Neptuno, which besides having numerous fashion stores, gifts and accessories also has cinemas. The ski resort of Sierra Nevada is another of the most important places of Granada. Every year people come from all over Andalusia and Spain, eager to enjoy the great slopes and facilities offered in Sierra Nevada; click on the following link to learn more about the ski resort in Granada. If you have time, we recommend visiting following towns of Granada to enrich your stay in this province: Baza, Almuñecar, Motril, Lanjaron, Loja, Alhama de Granada, Montefrio, Salobreña, and Guadix among others. Maybe you require a bus or minibus for day trips to Granada. We provide an ideal and economical alternative to go from Malaga to several key points of Granada. 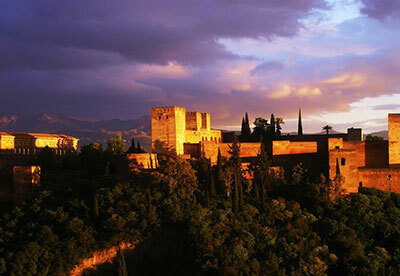 Share with your friends and family an unforgettable excursion in the city of Granada.